Bing Search Update On New Years? Home > Bing > Bing SEO > Bing Search Algorithm Update On New Years Day? Bing Search Algorithm Update On New Years Day? A Black Hat World thread has one webmaster noticing his rankings significantly shifted within the Bing search results over New Years. Truth is, very few people would take notice of this being it is (a) Bing and (b) New Years day. But this one took notice, so much so that he emailed Bing to find out if there was a technical problem. He said, Bing responded, which they are known for doing, saying nothing is wrong with the site - he has no penalties. Bing told him that it is standard for Bing to update their algorithm frequently. 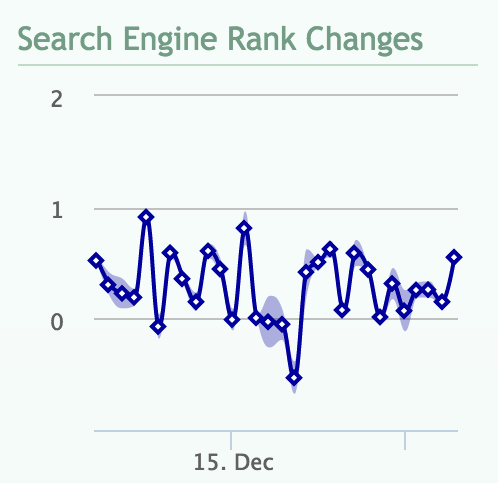 Did you notice ranking changes over the past few days within Bing?